There are a lot of wedding photographers, or just amateurs who shoot weddings, but there are also many who would like to brush up their photography skills. Along with the right skills, it would be awesome if photographers are able to give some tips to their clients on floral arrangements, invitation designs, wedding dress ideas, wedding color palettes, poses and more. 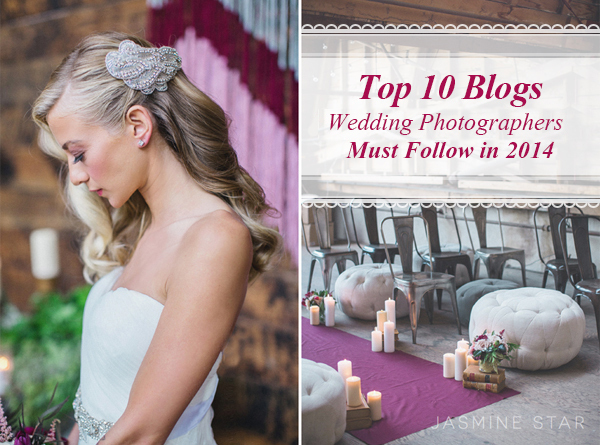 That’s why I drew up this list of top 10 wedding photography blogs that rock in 2014. You’ll find some useful tips and trick on how to succeed in the wedding photography business, how to properly communicate with clients, and tons of inspiration in the form of engagement sessions and wedding photographs from all over the globe. Of course, there are way more wedding blogs on the web, but I tried my best to highlight the most helpful and fresh ones to stay up-to-date. If you love photography, you probably love to learn about photography, too. 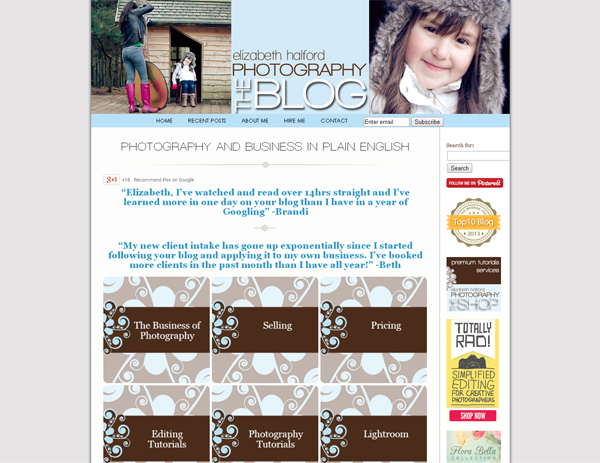 Photography Concentrate is photo education blog that will take your photography skills to the next level! Along with tons of ebooks about camera, composition and editing skills, you’ll see the ebook on wedding photography. 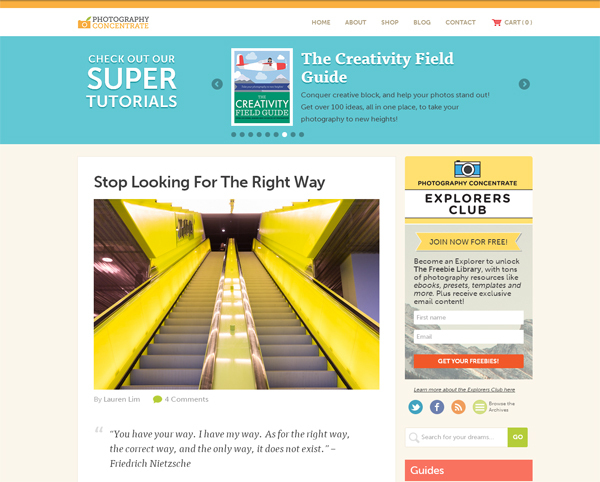 Moreover, you’ll find free guides on gear and software, business, subject interaction, lighting, workflow and more. Find wedding inspiration in the most beautiful gowns, lovely flowers and perfectly crafted details. 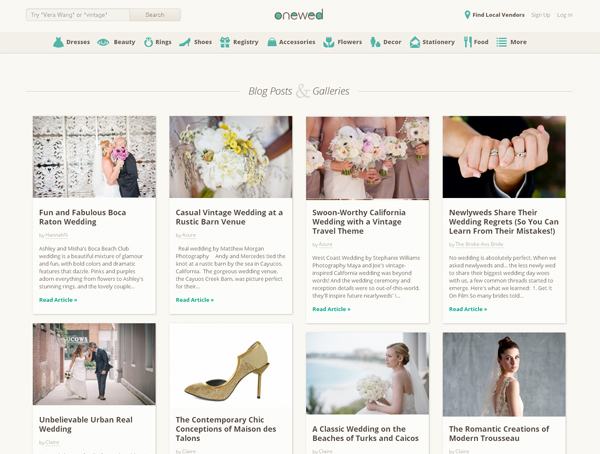 Along with wedding and engagement photo sessions for your inspiration, here you’ll find different wedding details categorized by destination, a lot of DIY stuff, a lookbook for brides and grooms and much more. GWS features beautiful details that help make your wedding memorable! 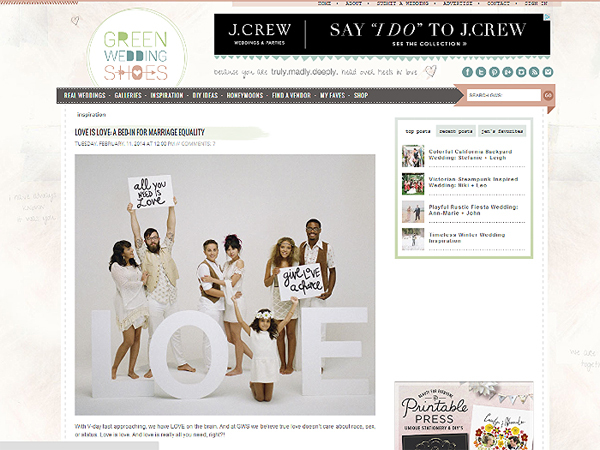 The aim of this blog is to help brides and grooms (and their photographer, natch!) to find inspiration wherever that may be–showcasing real weddings, fab finds, inspiration boards, talented vendors and gorgeous photos. That blog has a cool feature with vendors list. The list is divided into the categories, such as beauty, entertainment, floral, sweets, design, planning and photography. There are a lot of photographers who offer their services in the photography category. If you’re looking for some additional sources of promotion, you can ask to be featured there! The very first quote you’ll see on this blog belongs to Brandi and it says: “Elizabeth, I’ve watched and read over 14 hours straight, and I’ve learned more in one day on your blog than I have in a year of Googling.” This is what it’s all about on the Elizabeth Halford blog. All the posts on this blog are grouped into categories, such as business, sales, pricing, photography Lightroom and Photoshop tutorials and equipment. Just point and click the category you need and read. 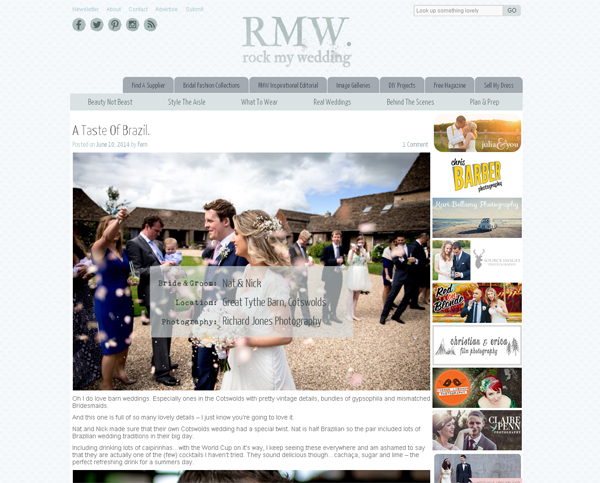 Even the name of the website ‘Rock My Wedding’ says a lot about it, right? The blog brings you sophisticated, stylish and pretty weddings to inspire you to take unique wedding-photo sessions your own way. It was created as an online platform for featuring wedding inspiration, and these days, it turns into one of the UK’s most popular planning resources. 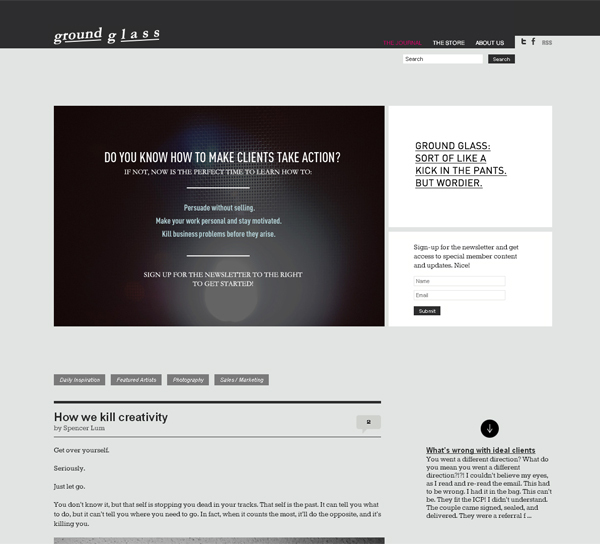 Ground Glass is a wedding-photography journal that shares some useful tips and tricks about relationships with clients, pricing, creativity, photography fears, mistakes and much more. This blog is run by Brooklyn-based photographer Spencer Lum. Jasmine Star is an experienced photographer, who shot hundreds of weddings and traveled the world a lot. Her blog was included to the Top 10 Wedding Photographers in the World by American Photo Magazine. Here you’ll find tons of inspiring wedding and engagement photo sessions, tips on the photography business and many how-tos and gear tricks. Photo sessions on this blog are divided into groups by style, such as elegant, classic, rustics, modern and vintage weddings that ease your search in times. Also, the blog could help you to find vendors by location and categories. Wedding-ideas image galleries made by categories will give you inspiration in various themes, for instance, bride looks, accessories, wedding favors, ceremony details and more. Stay up-to-date with all the wedding trends to give your clients some tips. 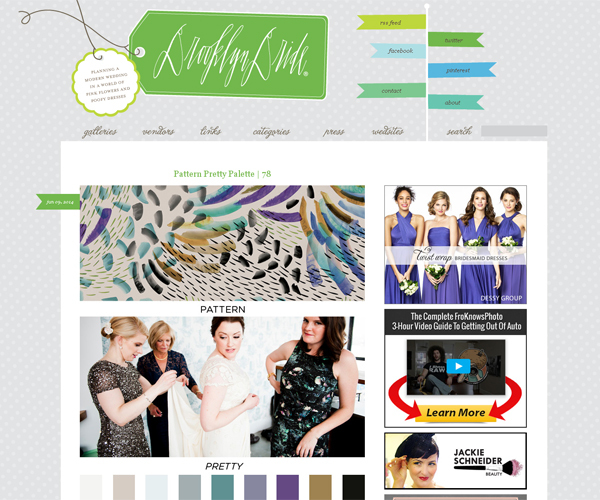 Brooklyn Bride is the wedding blog that was found back in 2007 and focuses on modern weddings. 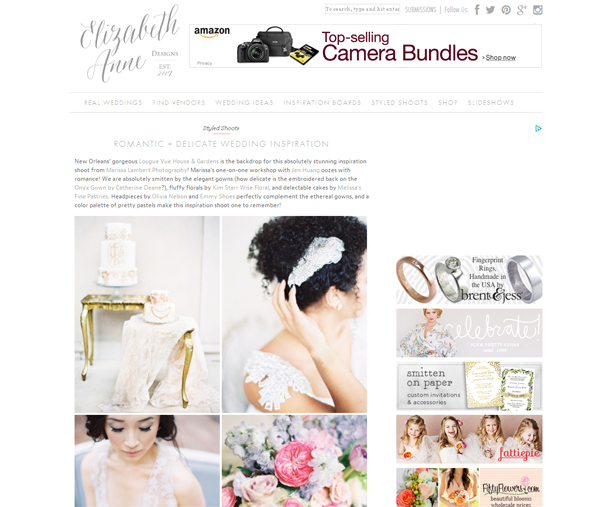 The site features up-and-coming vendors in all fields such as photography, calligraphy, invitations, fashion and gifts, along with coverage of bridal shows, shop reviews and everything in between. 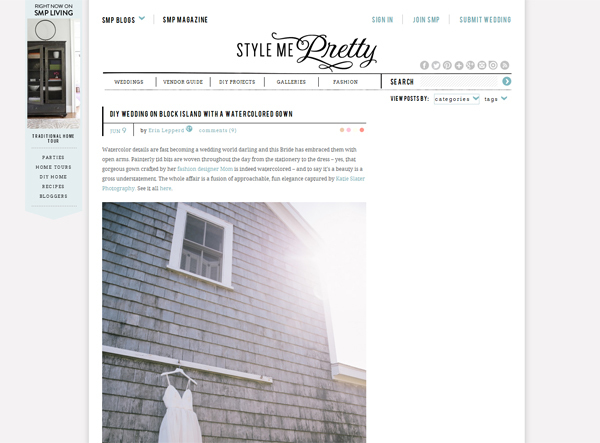 It’s a great helper in planning weddings for both brides and photographers. Dresses, beauty, rings, shoes, accessories, decor, stationery, food, – it’s not even the full list of categories of information featured on the blog. OneWed also includes gorgeous photos, smart planning and endless inspiration in all concerning weddings. OneWed will help you to make wedding smarter and better. I hope this list of top 10 blogs for wedding photographers will help you to plan your photo sessions and better understand your clients’ needs. Don’t forget to bookmark this post in order not to lose it. 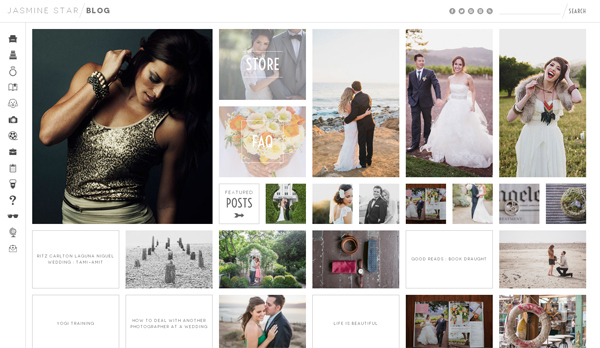 I’m pretty sure, there are tons of similar wedding blogs all over the web, so don’t hesitate to share links to your favourites. Also, don’t miss out our previous articles on wedding photography about how to shoot your first wedding and destination wedding photography.